The US-led coalition operating in Syria will investigate allegations of civilian casualties near the Syrian town of Raqa. 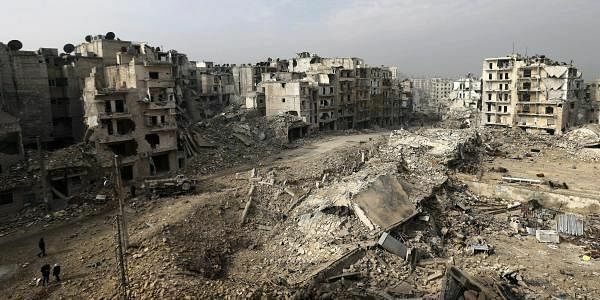 WASHINGTON: The US-led coalition operating in Syria will investigate allegations of civilian casualties near the Syrian town of Raqa, a Pentagon spokesman said Wednesday. "Since we have conducted several strikes near Raqa we will provide this information to our civilian casualty team for further investigation," the spokesman said, following reports that a coalition strike killed 33 civilians in the northern Syrian province of the same name.